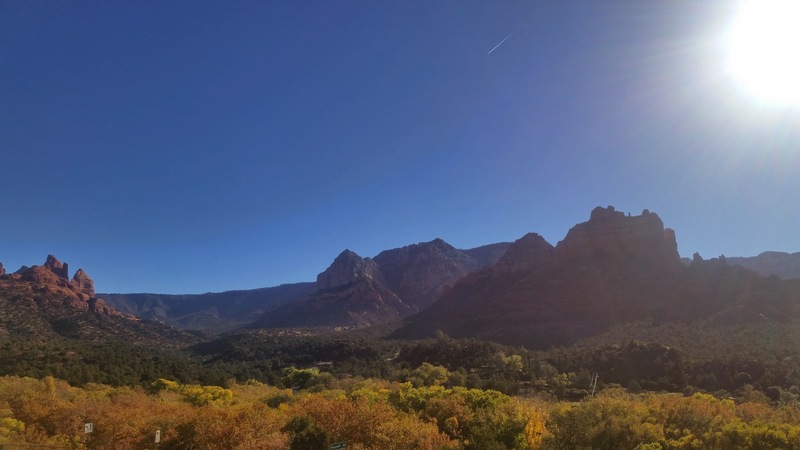 Work has been crazy, so I haven’t been able to share our experience camping in Sedona last weekend. A year ago we camped in the exact spot we went to Saturday, and it was just as lovely and relaxing this year. With our dogs in tow, we set off for Forest Road 525 near Sedona. We stopped to get a Red Rocks Pass without even realizing that the America the Beautiful pass we received as a wedding gift from Perfectley Peared works for that land as well. Oh well, at least we know for next time. Our dogs immediately scoped out the area and indulged in some play time. After we were all set up, we hiked to the top of a small hill with our chairs and set up a fire in a conveniently located fire pit. 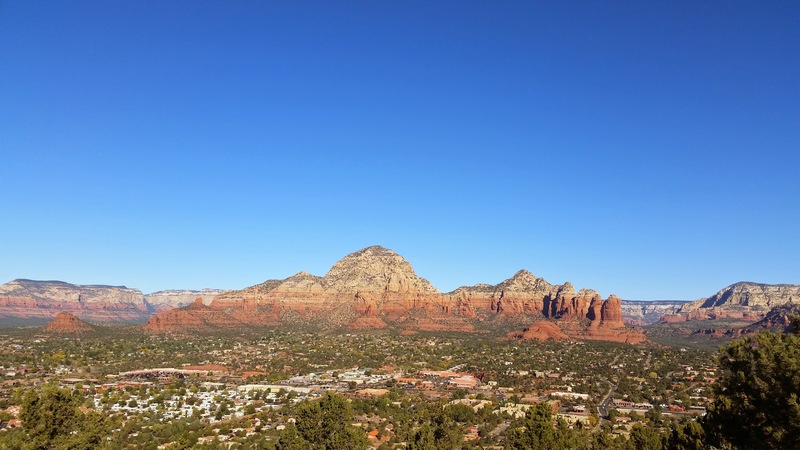 Sedona and yoga just go together. The lighting at sunset was gorgeous against the red rocks. I never get tired of seeing it. The temperatures were in the 50s during the day, which didn’t feel cold, until the winds suddenly hit in the middle of the night, dropping the temperatures into the 30s. We kept a Buddy Heater in the tent with us (with ventilation). At some point the wind pulled a stake out of the ground and part of the tent came blowing toward us and right to the heater, which promptly burned a hole in it. There was no fire, luckily, just a 6- by 6-inch hole. It was disappointing given that this was our first time using that tent. The next morning we packed up and drove into town for Starbucks. We drove on the Boynton Canyon scenic route to get there. I would love to stop at a local coffee shop next time when we don’t have the dogs, but at least there was this view to enjoy. It is probably the best from any Starbucks I’ve been to. We also stopped at the Airport Overlook. We returned home by that afternoon to relax before the workweek. I love our little adventures!